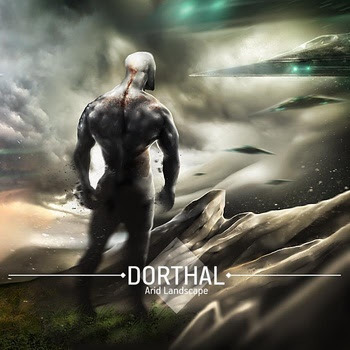 Dorthal’s most recent release Arid Landscape is a sound that is completely new to me. I haven’t listened to anything similar to it ever, and while listening to it I was impressed with how many different instruments and sounds were put into it. With all the different sounds in it, I was surprised it still sounded really good. The album has 10 tracks, nine of which are instrumentals, and one has singing in it to go along Dorthal’s instrumentals. There is roughly 40 minutes worth of material on the album, which gives you your moneys worth (something I really like). “Life Meditation” is the second track on this album, which starts out with a normal djent tone and kind of has an upbeat rhythm to it. It breaks into a mathcore like sound at around 0:50 and then into a more melodic/rhythmic sound at 1:10. Following that it breaks into a jazzcore/atmospheric break, with a saxophone, drums, rhythm guitar, and bass; which all work great together to bring you a very unique sound. This same break finishes off the track. The fifth track on this album “Erebus Lava Lake,” begins with a calming and ambient feel, but doesn’t last long because soon it starts with an upbeat jazz sound containing guitar, bass, and drums. Thereafter it breaks into a more groovy sound, and it continues the same pattern with guitar and drums until the end of the song. “Groove Finally Grown Through The Emptiness Of This Place” is the ninth track on this album. It starts out with a melody that reminds me of Legend of Zelda’s theme song (odd, I know), however it sounds more jazzy. At around 1:10, it breaks into a full-blown jazzcore song, with a saxophone, rhythm guitar, and drums. A guitar solo, accompanying the saxophone, starts at around 2:00. It ends the song with a change of pace, which is a progressive metalcore sound. At first, I really didn’t think I was going to like this album, with it’s lack of “heaviness,” guitar chugging, blast beats, etc. However, I ended up really liking this album because it is definitely unique and stands out from the crowd. It brings a more relaxing, “chill,” calming, etc. feeling than more djent/instrumental projects out there. Also, this album has 10 tracks and nearly an hour worth of material, which I love because I am a cheap person, so if I can get a ton of music for a small fee, I’m in heaven. The only thing I did dislike album this album was the one song with vocals (“Verdure”), as I much preferr it to stay an all instrumental album. However, if the album would have been a non-instrumental album, with vocals on other tracks, and not just one, I would’ve been fine with that. I think it just interrupts the listeners experience while listening to Arid Landscape. Overall, this album is fantastic and something that is very unique. If you want to listen to something fresh, new, and different, I recommend you checking out Arid Landscape. I really like it and I think a lot of you out there will like it too.